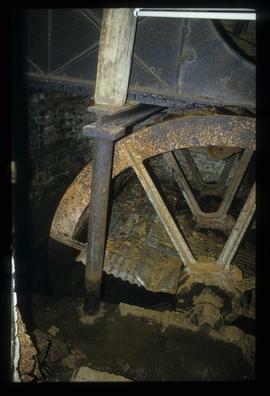 Showing part of wheel and penstock. "Littlebourne, Kent. 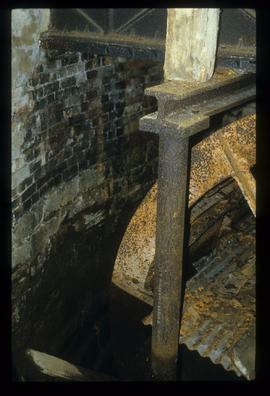 Wheelwell and penstock, remains of former mill"
The penstock mouth is just visible above.